The University of Washington is the main school in the entire state of Washington, one of the most academically sound in the nation. The school is given the ability to fly as an academic powerhouse because of the enabling foundations that let the school thrive in such a way. Some of these foundations are connected to the health of students. From fitness centers to mental health specialists, Washington has it all. And they know how wide-reaching the subject of wellness is for students. Looking very rustic and traditional, the Hall Health Center is a very quaint location for students who are feeling a little bit under the weather to frequent. Despite its older exterior, the insides are as modern as can be with some of the best developments in modern medicine and up to the second medical technology available to students who need them. The strong team will make sure that students are taken care of, even if Hall is just the first step on the road to recovery. The emphasis that the University of Washington places on disability services is truly inspiring and motivating. Students with disabilities will never have to fear that they are going to be left behind at Washington, thanks to all the services and faculty members who make themselves available for students in need. There are frequent information sessions held that keep these corresponding faculty members as up to date as can be. The AIMS Center puts its “aim” on making sure that students who are staring down the barrel of mental health problems feel like there is someone in their corner. The specialists at this center all work around the core tenets of the pyramid, which is pictured above. They make sure they help students at the right level for them to actually need help without bypassing an important support system that might have been overlooked by a student. The emergency department is comprised of all the same sort of emergency services that any local town or community would be. There is also a nearby hospital that is strongly tied to the foundations of the school. Here, students will always be treated in the case of any sort of emergency that could befall them on any given day. The fitness center at the University of Washington is a fairly conventional fitness and recreation center that has many features that students would not be surprised to see at other schools. However, Washington makes sure they provide high quality service, even though students may have seen what they offer before. There are always attendants on hand here, as well, to help students with handling the equipment. 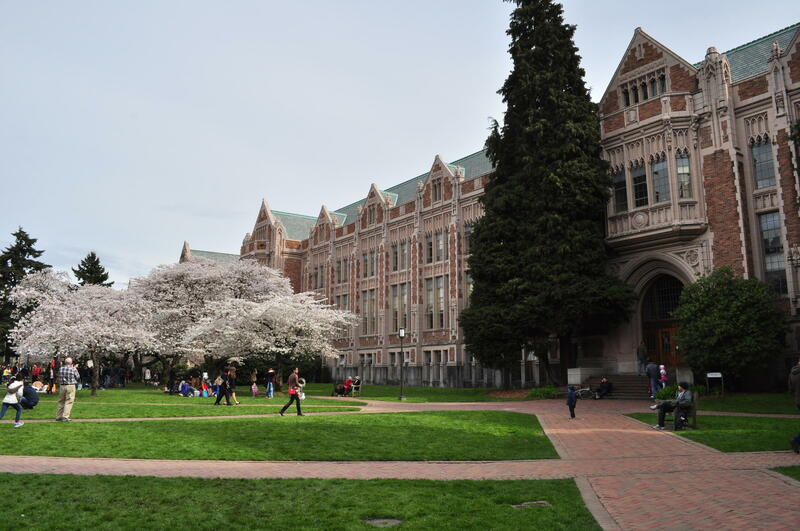 The University of Washington is one of the top schools in the country. Students apply in droves every year for the privilege of attending the school. It’s a great idea, too, especially when safety is something the school takes care of for the student.